But why, you may be wondering, have I suddenly gone for rectangles when a minute ago I was making curves? Well, there’s a bit of theory here, but don’t worry – I just want to put the cloth in context. 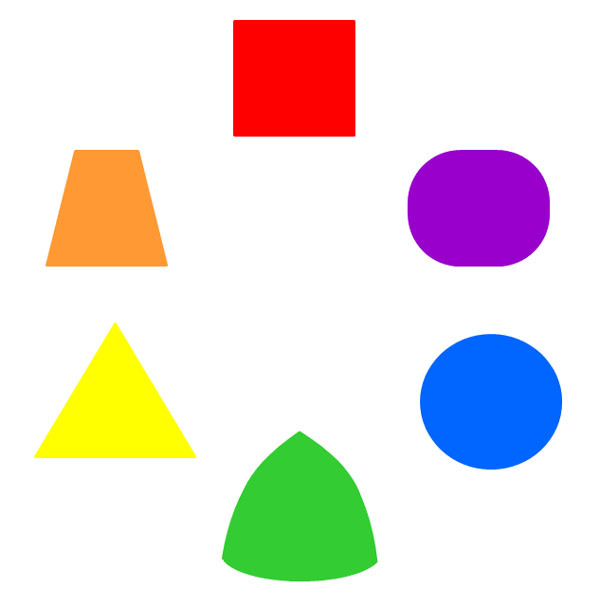 I have some problems with this arrangement as the symbolism is at odds with some of my own responses to colour and shape: personally, I think I would have a blue square, a red triangle and a yellow circle, although I’m not absolutely wedded to the scheme. But that is all the more reason to explore Itten’s theory, which is why I decided to change the treadling for my second scarf. The circle comprehends all shapes of flexuous, cyclic character, as the ellipse, oval, wave, parabola, and their derivatives. So the treadling turns out to have been an appropriate choice. Since I wanted to weave the second scarf with a rust weft I thought I would try something more angular and hence came up with what S calls the “parquet floor” design. 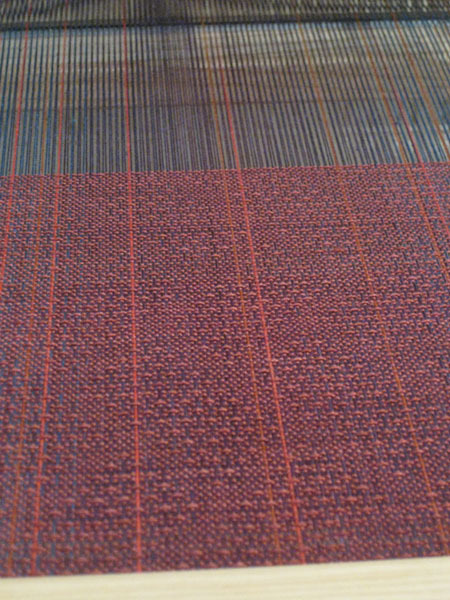 Now that I am about to wind a more red-green warp, I am playing with that rounded triangle figure. I find it rather a pleasing shape, and when you fit them together the negative space is interesting too. 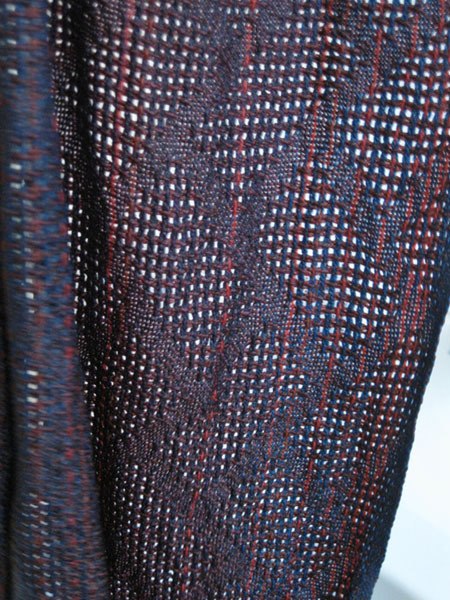 lovely huck lace and interesting how the cloth became bluer .